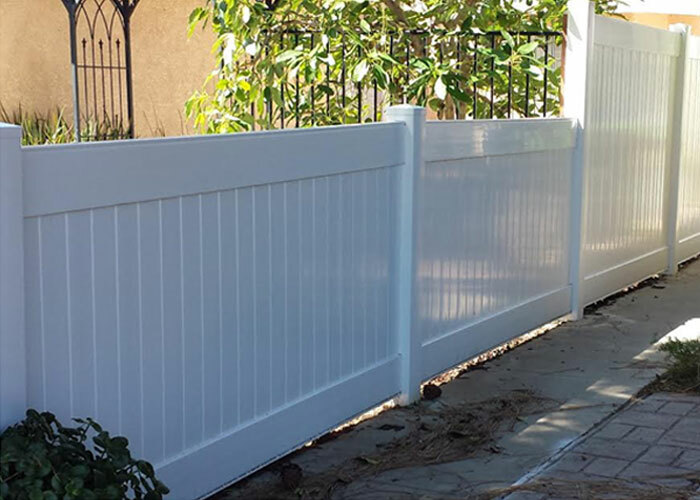 The family-owned and operated J&J Vinyl Fence is Sherman Oaks's preferred fencing contractor because we combine high-quality fencing materials with skilled and trustworthy craftsmanship to build cost-effective, beautiful fences and gates. 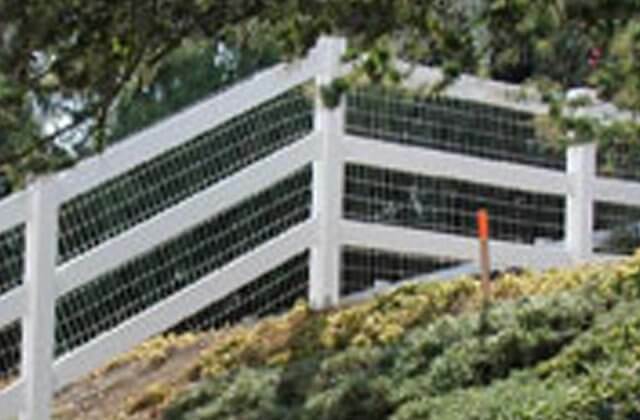 Since 1978 we have expertly designed, fabricated and installed fences from first-rate vinyl and aluminum to service the needs of thousands of satisfied South Bay and Los Angeles County property owners. In accordance with the demand for fencing that stands the test of time yet still offers security and warmth, we are proud to offer Southern California's best value in fencing. Vinyl and aluminum fences are an ingenious fencing alternative to fences made of wood or steel because they require little to no maintenance. In fact, vinyl and aluminum fences are built to look great and last for decades with very minimal upkeep requirements. Vinyl and aluminum have become the fencing material of choice for their durability and low costs, as well as their versatility, enduring and environmentally friendly. At J&J Vinyl Fence, we only use products that are backed by extensive written warranties. Contact the licensed, bonded, and insured J&J Vinyl Fence now to learn about our innovative Sherman Oaks vinyl and aluminum fence installations. Our options include vinyl privacy, semi-privacy, ranch rail, and picket fences and gates, vinyl arbors and trellises, as well as timeless aluminum fencing and gates. We provide free on-site estimates, in addition to a 10% discount for new clients. We accept all major credit cards and checks. Call us today for more information about our lifetime warrantied custom vinyl and aluminum fences and gates. 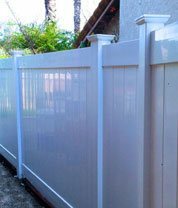 J&J Vinyl Fence is comprised of skilled, respectful fencing experts who are dedicated to providing you with the exact vinyl fence you've been imagining. 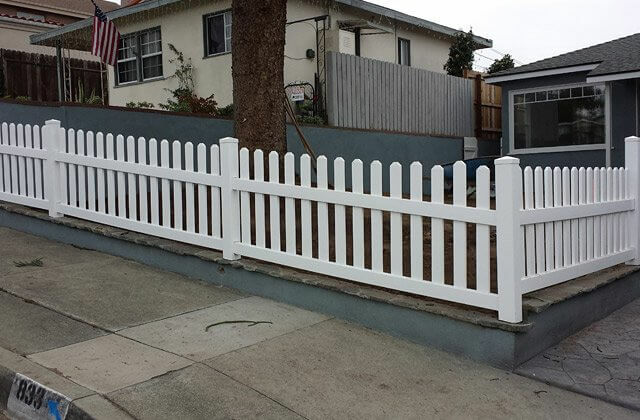 Whether you'd like us to repair an aging vinyl picket fence, or to build one from the ground up, we are able to do so skillfully and quickly. No Sherman Oaks fencing project is too big or small for us. We offer our clients a diverse range of vinyl picket designs to suit a wide range of residential and commercial applications, such as gardens, front yards, back yards, and more. Vinyl picket fencing can be combined with any manual or automated gate, and feature one of our gorgeous finishes: tan, white, or wood-grain. Not only is vinyl picket fencing multipurposeful and beautiful, but also it requires little to no maintenance. 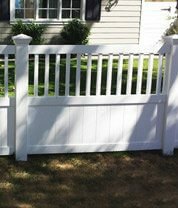 Call J&J Vinyl Fence for a free on-site or over the phone estimate. We are licensed, bonded, and insured and provide lifetime warranties on all vinyl fencing materials. Vinyl ranch rail fencing is a multipurpose fencing option that is most often used for enclosing livestock within farms, ranches or fields; designating territory; or delineating city sidewalks. Vinyl ranch rail comes in two, three, or four rails across, and can be accompanied with one of our lovely end-cap designs. We also offer vinyl ranch rail in crossbuck railing, a lovely enhancement to any Sherman Oaks golf course, city park, or sidewalk. All of our custom vinyl ranch rail fences are an exceptional alternative to traditional wooden fencing because they'll never require routine maintenance and will never rot, fade, warp, or crack. If desired, it can be painted in a smooth or textured wood grain finish that gives it an almost identical appearance to wood, but stays polished and vibrant for decades longer. 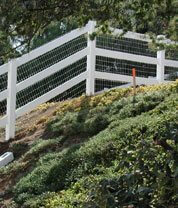 All of our vinyl ranch rail fences come with lifetime warranties. To learn about our free estimates and first-time customer discount, call J&J Vinyl Fence today! 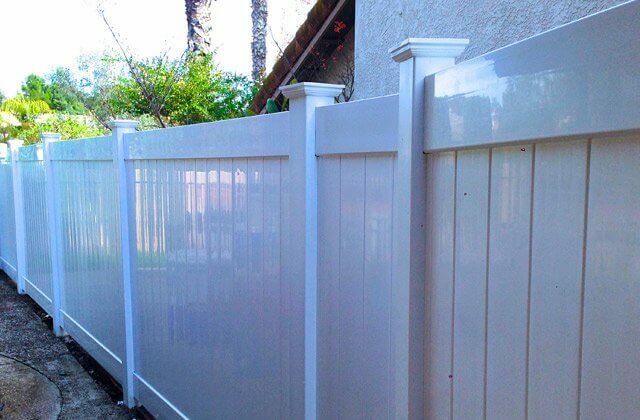 With more than three decades of experience in the fencing industry and an average of 15 years of experience per employee, we are confident in the level of expertise at J&J Vinyl Fence when it comes to the sales, installation, and customization of Sherman Oaks vinyl privacy fences. Each component of the vinyl privacy fences we construct is made to reflect the exact degree of security and privacy our customers desire. We can custom cut vinyl privacy fences to any size, width, or height, and individually cut each cross rail, picket, and end-cap to ensure all edges are completely smooth and evenly spaced. J&J Vinyl Fence uses fencing materials from the dependable and esteemed manufacturer ActiveYards® , who offers lifetime warranties on all vinyl fences. ActiveYards® produces vinyl products with innovative technology that ensures long-lasting durability and airtight construction that stands up against the wind, sun and other harsh elements. This makes it an excellent alternative to wood fencing, which often cracks and exposes gaps in structure over time. Trust J&J Vinyl Fence to customize a vinyl privacy fence that will never require paint touch-ups and board replacements, and will secure, protect, and beautify property longer than the average wood fence. We provide free on-site estimates and a 10% discount off our services for first time customers. Vinyl semi-privacy fencing is the best fence choice for Sherman Oaks clients who enjoy privacy but prefer more design possibilities than are available with a standard privacy fence. J&J Vinyl Fence's semi-privacy fencing are fully customizable as well as low maintenance. These elegant fences can be made to closely resemble semi-privacy wood fences but typically outlast wood fence by decades. In fact, they are backed by lifetime warranties. We provide a wide range of choices in railings, pickets, and end-caps for vinyl semi-privacy fencing. End-cap options include solar with lighting, New England, Gothic, pyramid, ball post, and more. 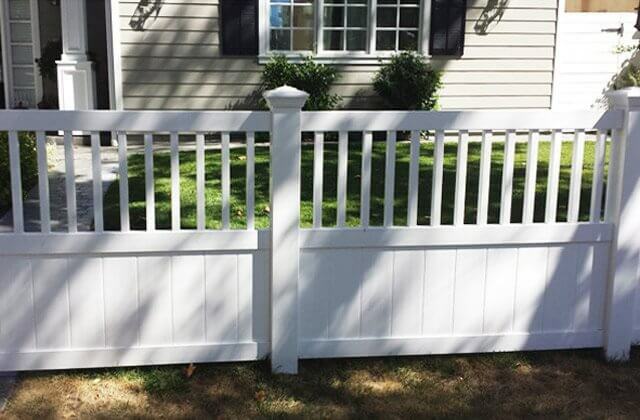 Our fences come in a white, tan, or wood-grain SolarGuard™ finish that retains its vibrancy without fading, chipping, peeling, blistering or cracking. Call us today for a free estimate. New clients receive a 10% discount off our already affordable services. 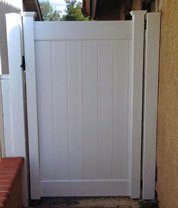 Since 1978, J&J Vinyl Fence has built and installed beautiful, cost-effective vinyl gates for its Sherman Oaks customers. We provide a diverse range of vinyl gate options, from manual and electric functionality to privacy, semi-privacy, picket, arbored, and ranch rail designs. Our vinyl gates can be built to fit any previously designed fence or one we have customized from the ground up. Vinyl gates come in your choice of SolarGuard™ white, tan, or textured wood-grain finish. The advanced chemistry within SolarGuard™ paint adds extra durability to the gates structure. Unlike wood gates, vinyl gates never peel, flake, warp, blister, or fade. At J&J Vinyl Fence we are highly experienced in installing beautifully designed manual vinyl gates, but our expertise also lies in automated vinyl gates that use the most modern technologies on the market. Our in-house electrician can accurately program a state-of-the-art access control system to allow entry from a key card, keypad, Smart device, and more. He can also program motorized sliding gates, driveway gates, roll up doors, and underground parking overhead gates, to allow monitored and convenient entrance to and exit from your Sherman Oaks property. We carry esteemed gate operator brands, such as DoorKing, Elite Gates, LiftMaster, Viking Access, and All-O-Matic. All of the motorized gates, electronic access systems, and manual gates we install come with manufacturer-issued warranties. Contact the knowledgeable installers of J&J Vinyl Fence for a free price estimate, and receive a 10% discount if you are a first-time client. 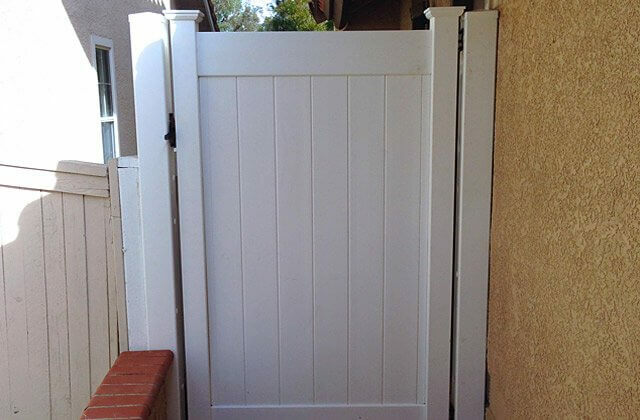 At J&J Vinyl Fence, we will customize a cost-effective, durable aluminum fence and matching aluminum gate by working directly with you to comprehend your exact security and design preferences in Sherman Oaks. Our aluminum fences and gates come in residential and commercial grades, and give the appearance of traditional wrought-iron or steel fencing without any of the defects or extra maintenance. Each aluminum fence and gate comes backed with a manufacturer-issued lifetime warranty. Our aluminum fences and gates have been installed around apartment complexes, business parks, school nurseries, fields, swimming pools, front and back yards, industrial facilities, gardens, and more. Everything from the overall structure of the aluminum fence and gate, to its latches, locks, and handles, are powder-coated for an extra layer of protection and durability. In fact, unlike iron fencing, our custom aluminum fences and gates will never chip, peel, rot, fade, or crack. The polished appearance and unmatched durability of J&J Vinyl Fence's custom aluminum fencing and gates makes them the ideal enhancement for any residential or commercial application in Sherman Oaks. Contact J&J Vinyl Fence today to speak with one of our knowledgeable representatives. We offer free on-site estimates and first-time customer discounts. 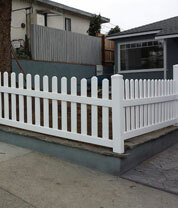 This white privacy vinyl fence in Los Angeles, CA was installed during a residential fence installation. The fence is 6 ft tall with a transition down to 4 ft tall.